It's been a while since I've done a gym review, so forgive me if I'm a little rusty. Through a combination of laziness, lack of options and perhaps even animosity, I've been out of the scene for a little while, but I figured that if I'm going to get back into the game, I might as well do it right. There are a lot of names in Minnesota BJJ these days, seems like the number of brown and black belts isn't as exclusive of a group as it used to be. Still, there are certain names that seem to rise above. Professor Ishmael Bentley is one of those. A 2nd degree black belt under 8th degree black belt Pedro Sauer, Professor Bentley has a tremendous reputation in our grappling world. Maybe the best reputation as far as a pure BJJ grappler. This isn't to take away from other highly ranked professors like Hirtz, McCune, Nelson and Roberto, but Professor Bentley, as proven by the huge turnout for the M-Theory grand opening, seems to draw from all affiliations with his combination of skill and personality. Wait, did I just say that there is someone out there with a better reputation on the local scene than me? I know it's a stretch, but you will just have to go in for yourself to see. First class is free. ...I've gone too long without a fart joke. My hands actually start to shake with the DT's...don't worry, I'll think of something. Maybe the problem is that I've been reading a lot of Stephen King lately instead of Ken Kesey. Unfortunately, the space doesn't appear to be haunted, unless you include my getting stuck under Professor Bentley's cross-side control. 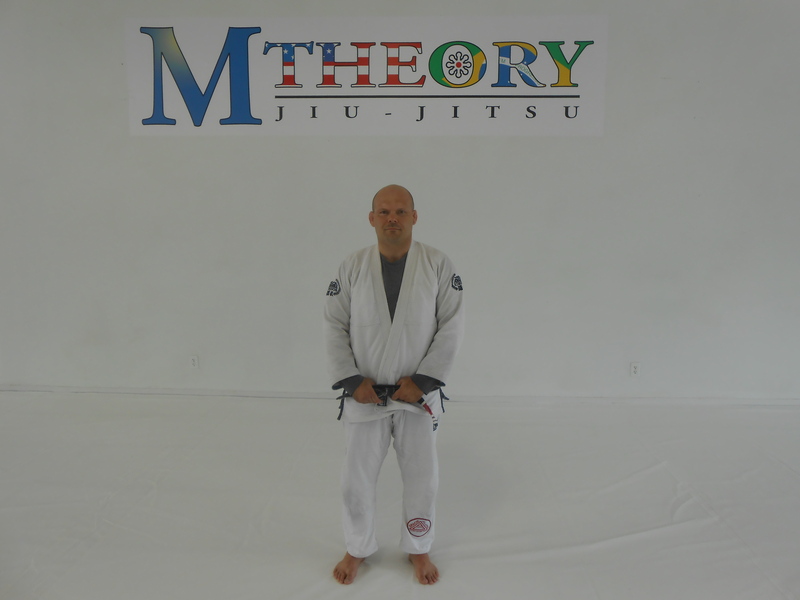 From there we touched on the very traditional Gracie Jiu-Jitsu style of working the self-defense application of the art, then translating the same movement to competition training. Something that I really enjoyed with my upcoming endeavors. And I hope you aren't shy about doing reps. We worked about 30 reps each. Just 9,970 more and I'll be an expert. I'll save face here and just move on. I've been to two other gyms in St. Louis Park and I know there is a large community of grapplers in the surrounding area. That being said, regardless of your affiliation, I recommend stopping in and checking out the gym for yourself. If for nothing else than to be with Professor Bentley's accent.